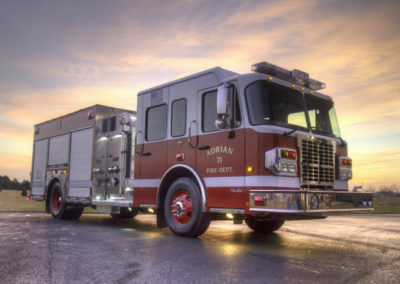 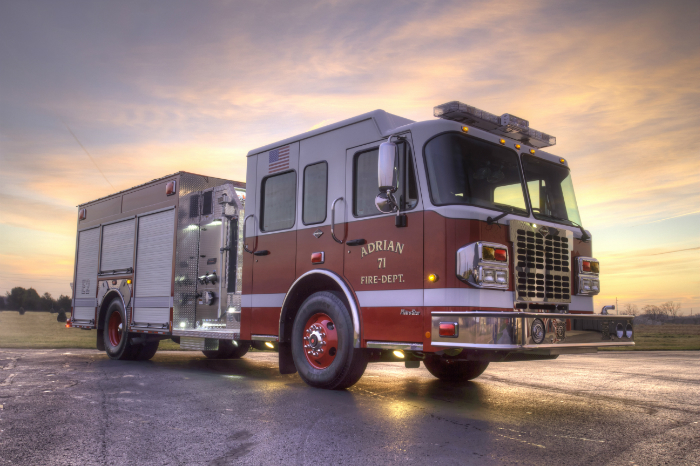 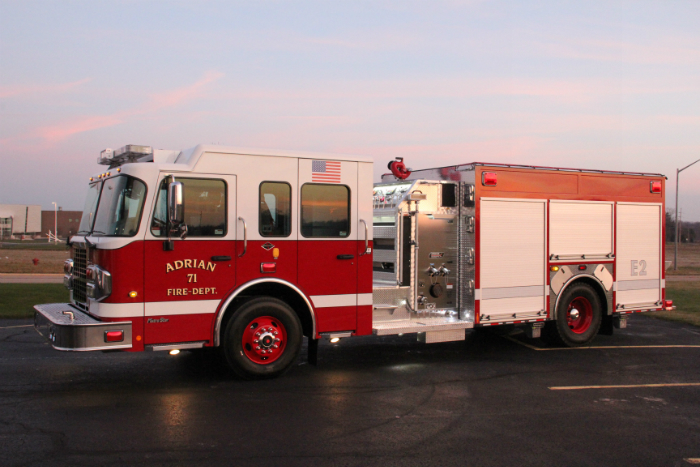 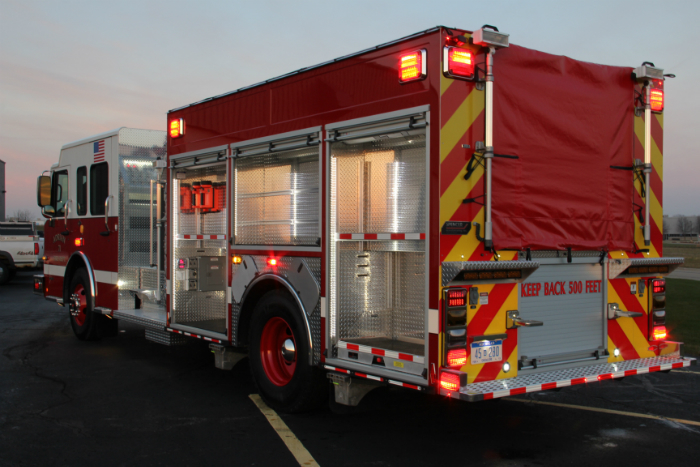 This Spencer Top-Mount Pumper, located at Adrian Fire Department in Adrian, Michigan, demonstrates the precision and care we put into building our trucks. 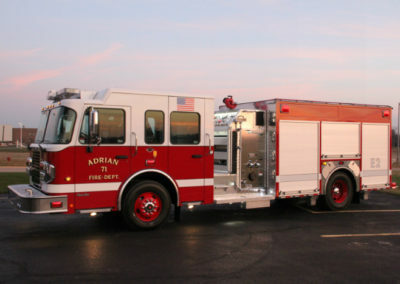 This truck is mounted on a Spartan Metro Star 4-door Chassis with a 380hp Cummins engine and 3000 EVP Allison transmission. 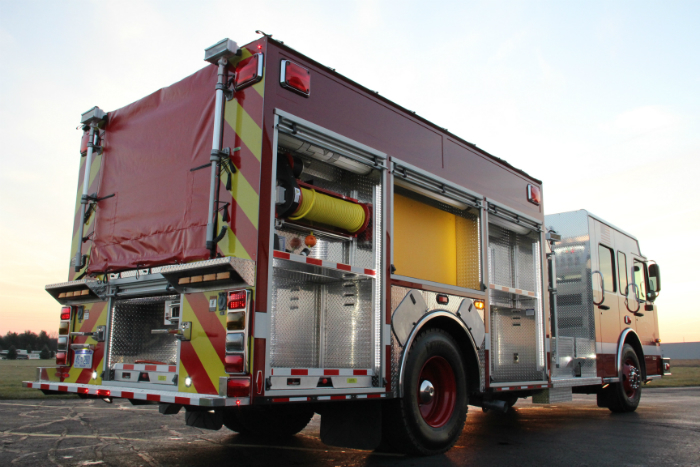 The Pumper is also equipped with ROM Roll-Up doors, a Hale QMAX 1500gpm Pump, Whelen lights and a TFT Deck Gun. This truck also boasts a 8KW SmartPower Hydraulic Generator and FRC telescoping lights.